One of basketball's oldest teams, the Harlem Globetrotters, are still breaking world records. They have been around for almost a century, famous for their trick-shots and juggling skills, but the Globetrotters turned the game upside down on Tuesday, literally. 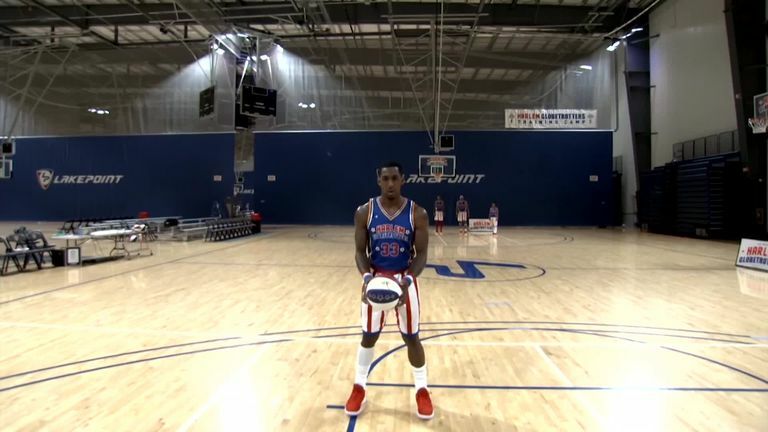 Bull Bullard set a new world record for his 58-foot somersault shot... "Make it and don't move," he said, as he did not even turn to watch the ball land in the basket. One of Bullard's team-mates, Torch George, sent spectators into a spin with the record for the most under-the-leg tumbles in one minute by a female. There were five Guinness World Records broken on the day to take their total to 21. Zeus McClurkin set the record for the most blindfolded slam dunks in one minute - he landed five. Think you can beat it? 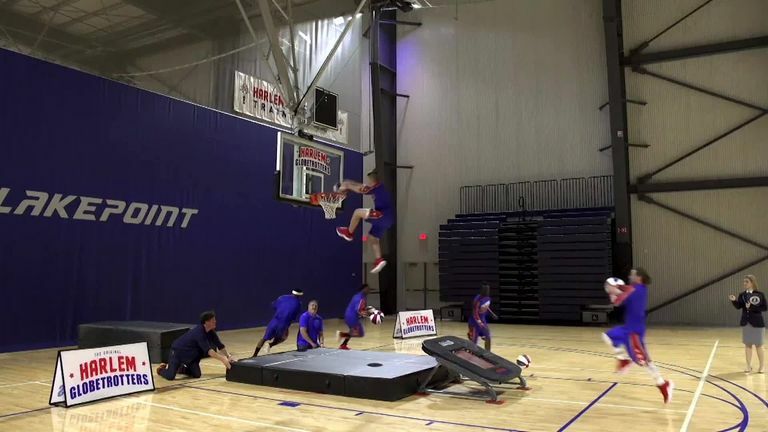 And the Globetrotters' trampoline-dunk team set the record for the most basketball under-the-leg slam dunks by a team in one minute. They were bouncing.